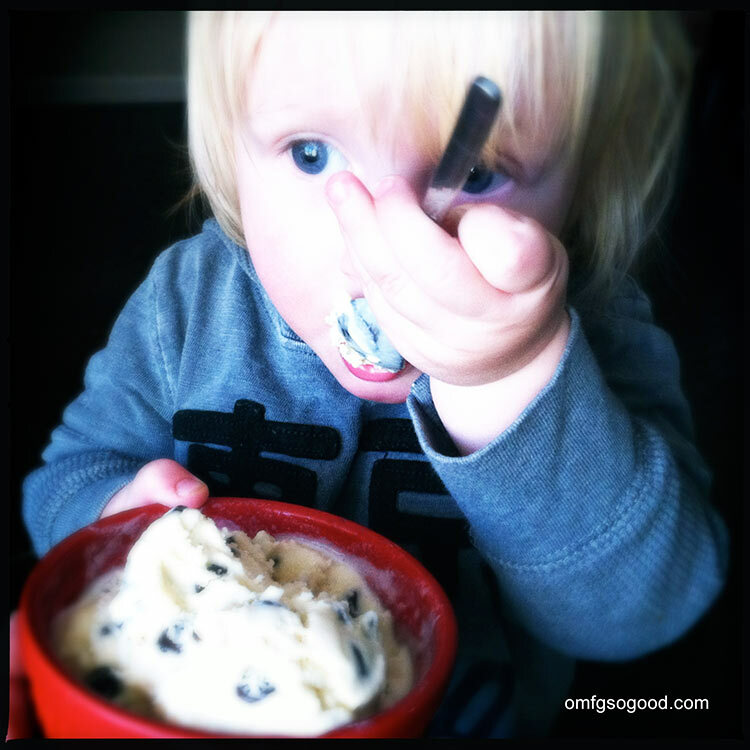 malted vanilla bean ice cream with milk chocolate chunks | omfg. so good. I’m sure I’ve mentioned before that I pretty much grew up on ice cream. As a matter of fact, my parents are still kickin’ around the old General Store/Ice Cream Shoppe, and they officially started their ‘scooping season’ this weekend. 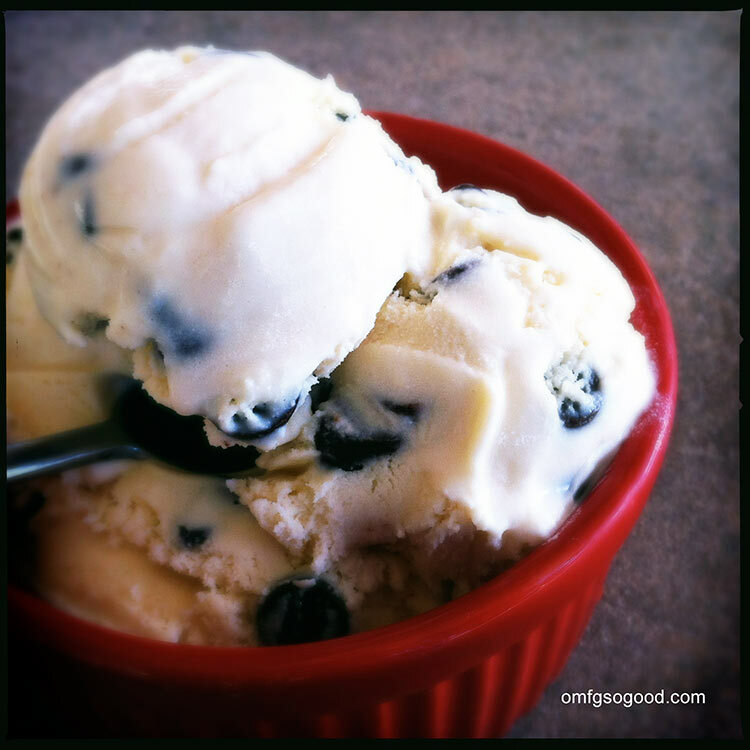 So it seems only fitting that I share the recipe for my favorite homemade ice cream today. You know, to rub it in their faces that, unlike them, I’m not sweating over a tub of hand-dipped ice cream while a line of people stretches out the door and across the road, willing to wait as long as it takes to get a scoop. Nope, not me. I’m sitting on my patio eating homemade ice cream while my kids ‘backyard power-struggle’ for the rights to a paper airplane. Shhh, don’t tell them I’m indulging or they’ll descend on me like a pride of hungry lions. Pour the sugar in a small mixing bowl and set aside. Slice the vanilla bean in half length-wise and scrape the seeds into the sugar bowl. Using the back of a spoon, move around the bowl mixing the vanilla beans into the sugar, breaking up any lumps. This will really infuse the vanilla flavor into the sugar. In a separate bowl, whisk the eggs until light and fluffy (1 – 2 minutes). Add the vanilla bean sugar, a little at a time, and continue whisking until completely blended (around 1 more minute.) Whisk in the cream and milk, then add the malt powder and vanilla extract and whisk to blend. Let the mixture rest for 15 minutes Transfer to your ice cream maker and freeze according to the manufacturer’s instructions. After the ice cream reaches soft-serve consistency, add the chocolate chunks and continue freezing until the ice cream is thickened. We have this super easy to use (and clean) Cuisinart Ice Cream Freezer and it takes around 20 minutes to soft-serve consistency. Transfer to either a paper storage container or plastic container for freezing. Maybe even sneak a few bites before your kids catch the scent. Because if they’re anything like mine, you turn your back for one second and they attack. 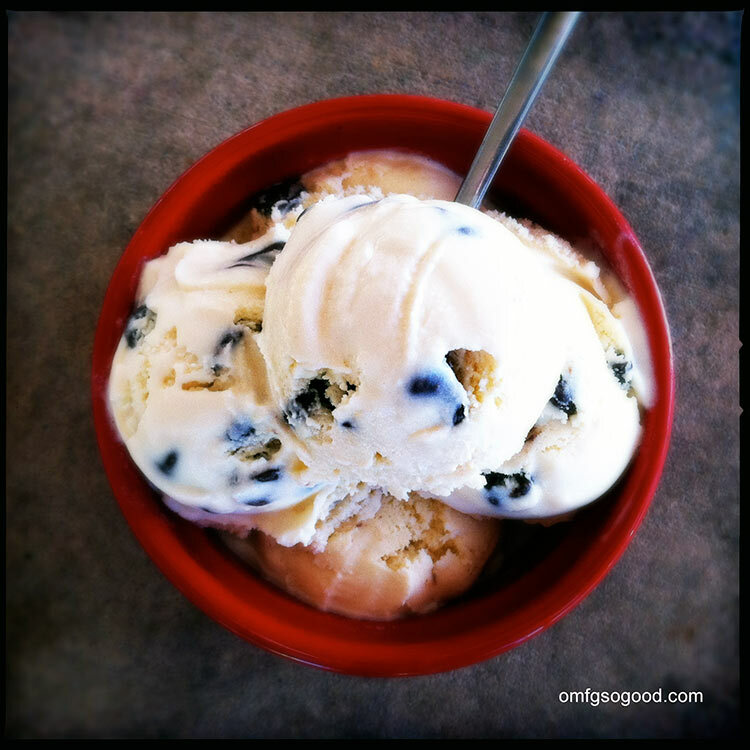 Pingback: brown sugar bananas foster ice cream | omfg. so good.